Superior crustacean which hatched 2001. Well known at STARRY NIGHT she was an oft seen sight in the Caribbean and the Mediterranean, always fully crewed, and always serene, comfortable and delivering great sailing and good entertainment to her owner and his guests. A pitstop at Berthon 2009 includes all new electronics and lots of widget rework. 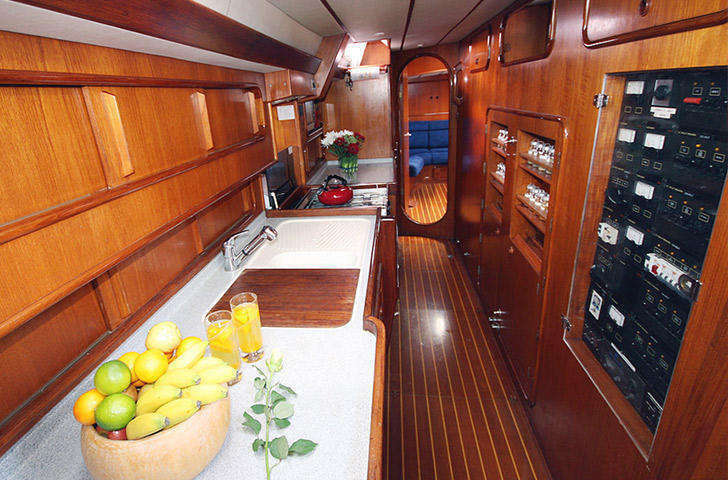 She also has a nice recent teak deck, fab dark blue topsides and a sorted rig. In this ownership, an ARC and beyond was planned, so she has a new generator (never even commissioned) new black water tank forward, rationalized electronics, refurbished dink and lots else. 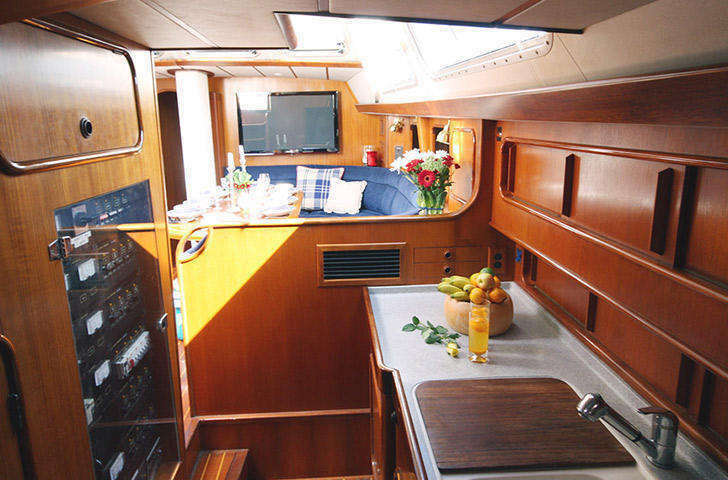 Immensely clever layout for owners, 6 guests and crew with day head and enormous main saloon, she also comes with push button everything and Holman & Pye dependable go anywhere design. All this for £299,000 – a bobby bargain and a half.